The best side/vegetarian main at Thanksgiving! 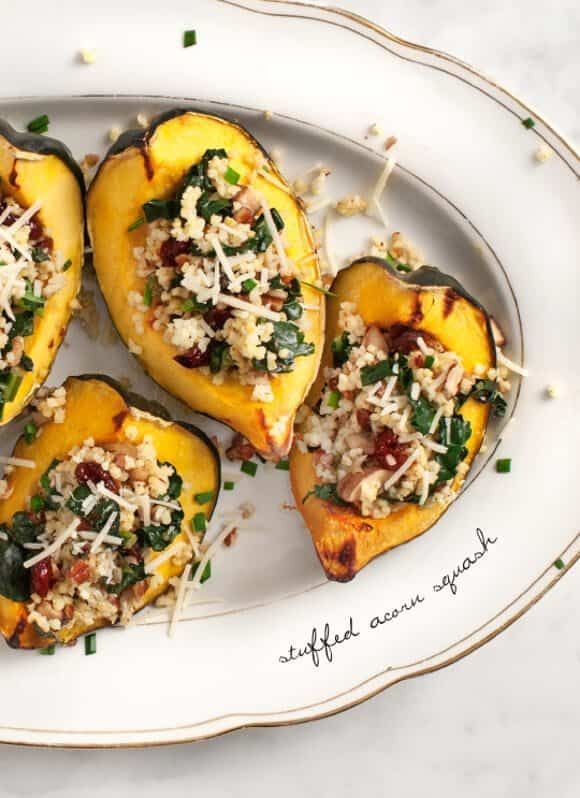 Acorn squash is stuffed with millet, mushrooms, kale, sage, pecans & cranberries in this healthy fall dish. 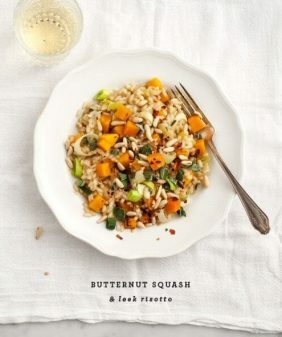 Of course, this would be a beautiful veggie addition to your Thanksgiving table. It would also be a nice dinner for 2, or a hearty meal for 1 hungry college student + leftovers for the rest of the week. You could sub in quinoa here, but millet is my new favorite grain. It’s still gluten-free, but tastes just like couscous. Slice acorn squash in half and scoop out of the middle. You can leave them in half or slice them into wedges. Drizzle with 1 tablespoon olive oil and sprinkle with a few pinches of salt and pepper. Roast flesh side down for 20 minutes, flip them over and roast them flesh side up for another 20-30 minutes or until fork-tender and golden brown. Remove from oven and set aside. Cook the millet: Place ½ cup millet into a small saucepan. Turn the heat on low and toast it for a few minutes, until slightly fragrant, but not burned. Add 1 cup of water, a big pinch of salt and bring to a boil. Cover, reduce heat to low and let simmer for 15 minutes (check at the last 5 to make sure it's not burning to the bottom of the pan). Turn heat off and let it sit for another 10 minutes (still covered). Fluff with a fork and set aside. In a large skillet, heat 1 tablespoon olive oil over medium heat. Add the chopped shallot, a pinch of salt. Let that begin to soften, then add the mushrooms, garlic, another pinch of salt and a grind of pepper. Cook until the mushrooms are soft, stirring occasionally. Add the sherry vinegar, stir, then add the kale and chopped sage. 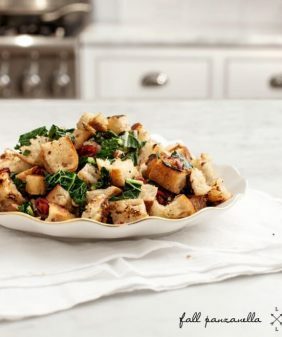 Cook until the kale wilts down, then add the cooked millet, pecans, cranberries and chives. Taste and adjust seasoning. Scoop the filling onto the roasted squash and serve. Optional: sprinkle with cheese and place under the broiler for a minute or two to melt it. We also enjoyed this with a drizzle of honey. Another variation we tried and loved: feta cheese & tarragon, in place of the asiago and sage. (If you try tarragon, add it in near the end since it's a softer herb). I could eat a different form of stuffed squash for every meal!! I love this! Gosh can I relate to that story. One christmas I spent it alone in lab, finishing an thesis, I got an extension on. My meal that day was a microwaved and can of soda. This is such an easy side but also fancy enough to be a main. Lovely! Beautiful. So many wonderful textures going on–I like your grain choice of millet. I’m always looking for ways to use millet. I too have had a lonely college Thanksgiving in the dorm all by myself. So depressing! Friendsgiving for the win. 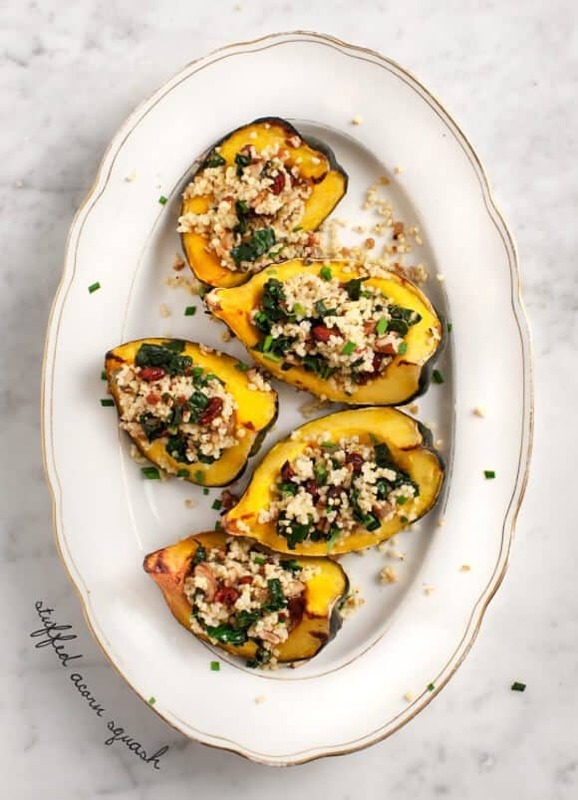 🙂 This stuffed squash sounds amazing! I love the sweet & savory combination with the cranberries. Thanks! aww, I know, sad wasn’t it? Thank You so much for this recipe! I am desperately on the hunt for delish veggie dishes. I no longer eat processed flours and that really narrows down the recipe pool. I love my veggies, but they can feel like the same dish… different day. 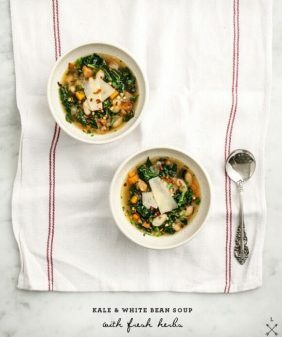 Love that this recipe is seasonal with hearty ingredients and beautiful! 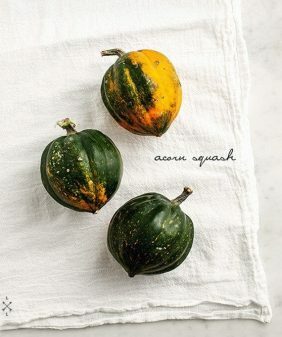 I love squash, but never tried it stuffed! What a beautiful vegetarian dish. I love the story as well and can definitely relate. 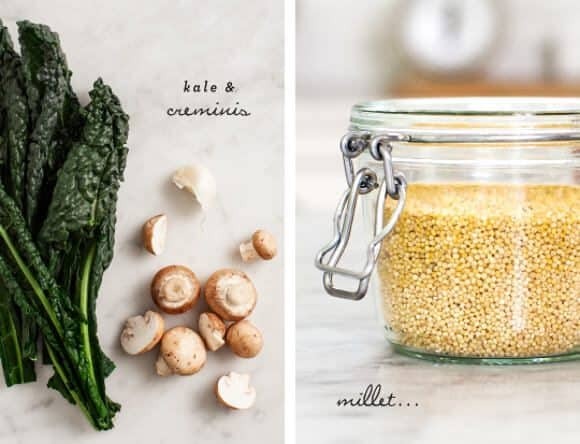 i’ve never tried millet – you’ve totally inspired me to buy some this week! this dish is simple and beautiful. 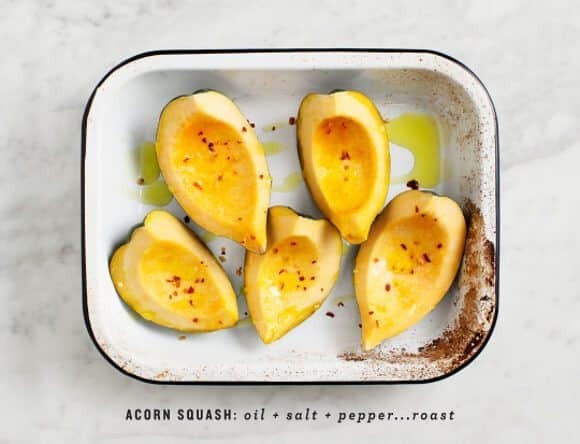 i love new ways of cooking squash. it looks perfect for thanksgiving! you should, it’s so good! I think I like it better than quinoa (but shh). This dish looks fantastic! I hope you have better plans this year than back in your college days. Also, traveling around the holidays is the absolute worst, so I don’t blame you for staying put sometimes. Actually, the Thanksgiving for two sounds so perfect and calm! Thank you for this! I’m not vegetarian, but I AM sick to death of heavy, meaty dishes from Thanksgiving. I decorated my table with acorn squash and now, I wanna eat ’em. 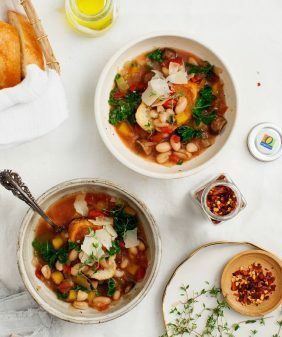 We ate this last night for dinner, and I’m already looking forward to the leftovers for lunch today – light and delicious! Beautiful photography and styling. Love your style. I just wanted to comment on the use of millet… If eaten on a daily basis for a period of a month or maybe a little longer (also dependent on how much you eat) it has been known to completely heal ulsers of the stomach and intestines. 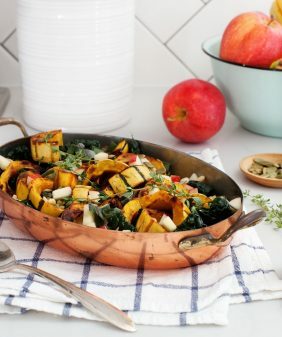 This is my absolute favourite recipe! I don’t know how I stumbled upon it but am so happy I did! My boyfriend and I make this probably once a week or once every two weeks! Sosososo good!